The Yangtze River (Chang Jiang) is the third largest river in the world, just behind the Nile and the Amazon. The Three Gorges Dam Project remains a controversy worldwide since its construction and it is the largest construction project in China after the Great Wall. In fact, Sun Yat- Sen, the father of modern China was the pioneer of the project. He proposed to build a hydroelectric dam at the Three Gorges in 1919. Upon the dam's construction completion in 2009, the Three Gorges Dam will become the largest hydroelectric dam in the world; some of its primary functions include generating electrical power from Chongqing to cities as far as Shanghai and preventing notorious Yangtze River floods. 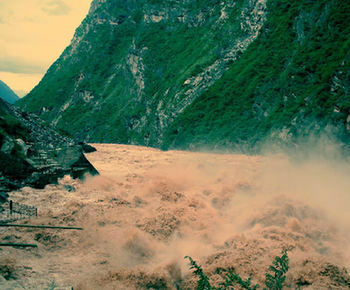 Around 100 towns were “drown” due to a water rise in 2003 and the sceneries at the Three Gorges has changed ever since. Be sure to enjoy the gorgeous view throughout your cruise! Day 1: USA / Beijing. Depart the United States today to begin your Yangtze River adventure. Cross the International Date Line and en route to China. Day 2: Beijing. Arrive in Beijing late this afternoon. Your English-speaking guide and driver will meet you upon your arrival and transfer you to the hotel. - Prices listed above include Super Deluxe (5-Star) hotels, in the event that a 5-Star hotel does not exist in a city, we use a top-class hotel in that city. - In the event that less than 10 people sign up for a tour, Lotus Travel reserves the right to cancel the tour and a full refund to participant. - For private package tour under 10 passengers or different scheduled tour, please contact us for a price quote. - Tour price includes sightseeing and meals as noted in the itinerary, international & intra-China airfare, private transfers and ground transportation, hotel accommodations, and an English speaking guide and driver. - Price does not include airport tax, passport or China Visa fees, tips to guides and driver or expenses of a personal nature.